Reason faces no fortress more impenetrable than the minds of the righteously indignant. 2 of the reasons that I don't agree with Calvinism are: that it seems to me to imply determinism and I cannot see how a deterministic God is not the author of sin; and I believe that saved men can subsequently reject the faith. It is important to note that false believers, wolves in sheep's clothing, and antichrists can participate in the established church. There are people who would seem to be part of a church but who do not follow Christ and are not saved. Moreover there are men who would deceive others, draw them away from the faith, or use religion as a cover for personal gain. Some may deny Jesus is God. When Paul says to the Ephesians he fears some will arise to attack the flock (Act 20:29-30) and John speaks of those who left because they did not belong (1Jo 2:19) they are not generally speaking of apostates but of weeds. Men who have never entered the kingdom of God but who have infiltrated the church. These people may not be obvious to us, and we must be wary of removing them (Mat 13:29). There are also apostates, those who started the journey but who no longer follow Christ. They are not those who struggle, or who are weak in the faith. They are men who had chosen the way of life, responded to the wooing of God, and turned their hand to the plow—then looked back. Those who have become entrapped in the false promises of the world once again. Having rejected God's Way they go their own way. This is not to say that we can identify such people easily. We are to assess fruit, yet wheat looks like darnel and we mustn't harvest prematurely because no wheat is to be lost—of course darnel is indistinguishable from wheat until the fruit (grain) appears. Nor does this mean that apostates never become wolves however many apostates can be known when they declare themselves such. I came across a comment that Arminianism is a false gospel and I see that this idea occurs a number of times from Calvinists around the internet. I think this is both a false and serious charge. We need to have a clear understanding of what the gospel is. It is unhelpful to define it so broadly such that all theological truth is the gospel. Every moral is theological, but the command not to murder is not the gospel. Paul then goes into a prolonged defence of the resurrection of believers. Elsewhere he tells us what we must do to be saved. In the first passage we learn that Jesus died for our sins, but little about how his death is for us. Then that Jesus was resurrected from the dead, but little about the nature of his resurrection or resurrection body. In the second passage we learn we must consider Jesus Lord, but how that fits with our concept of the trinity is not expanded. Then that we must believe that he was indeed resurrected. Now perhaps Paul expounded on this more when he first preached the gospel to the Corinthians, he was after all reminding them of what he previously said. Nevertheless, the core of the gospel is quite simple. Expounding the nature of faith and salvation and atonement is more complex, and we are to move on to the meat from the milk, yet the core of the gospel is that God offers salvation thru Jesus. Salvation is only offered thru Jesus. It is belief in his resurrection and confession of his lordship that brings salvation from God. He describes how the circumcision party, whom he calls false brothers, had influenced even Peter therefore Paul rebuked him. What was the false gospel? Justification by works. The true gospel is faith in Christ. The false gospel is trying to earn salvation. Of course God has works for us to do, and we are to work out our salvation with fear and trembling (Php 2:12) in obedience to Christ. So does Arminianism require that man earn his salvation? No. The charge is false. Arminianism believes that salvation comes thru Christ alone. God saves man thru Jesus. In order to be saved one must confess that Jesus is Lord and believe in his resurrection. It is thru faith by which we are saved, not works. Of course Arminiansim holds to the concept that man has the ability to reject God's offer of salvation. And also that faith is a choice to trust in God, something man expresses and God commends him for, though God is always helping man in his frailty and keeping him safe from the enemy who would assail him. So part of the Arminian/ Calvinist debate is whether such faith is something man can have, or something given to man entirely from God. Calvinists would label such Arminian faith a work. This is unjustified, but even if such faith was a "work", it is not a work in the sense Paul is condemning. Paul condemns work that tries to earn. A person expressing faith is not an activity that is similar to activities that try to earn salvation. The Arminian concept of faith is not a work one does like getting circumcised, or tithing. Arminianism and Calvinism both preach salvation thru faith in Christ. If we assume that Calvinism is true (for the sake of the argument), Arminianism is bad theology or heterodoxy. If would be a stretch to call it heretical. If it is false teaching it should be opposed. But to call it a false gospel is slander. I think Calvinism is a serious error, but is it hardly a false gospel. Arminians are children of God. They preach a true gospel as do Calvinists. They call people to turn from their sins, to trust in Jesus who died for their sins, to follow Jesus who was raised from the dead, to commit to his Lordship in their lives and over this world. To say that Arminianism is a false gospel is to slander God's children. Something that deeply offends God. God rebuked Job's friends for their false accusations and he continues to defend his people against those who falsely accuse them. Astronaut Sunita Williams gives a tour of the International Space Station. It is 25 minutes long, though held my interest. It covers provision of day to day requirements in a weightless environment: sleeping, eating, toileting, exercise, and a few other facts. 1. The ordinary Bible read in the Church, commonly called the Bishops Bible, to be followed, and as little altered as the Truth of the original will permit. 2. The names of the Prophets, and the Holy Writers, with the other Names of the Text, to be retained, as nigh as may be, accordingly as they were vulgarly used. 3. The Old Ecclesiastical Words to be kept, viz. the Word Church not to be translated Congregation. 4. When a Word hath divers Significations, that to be kept which hath been most commonly used by the most of the Ancient Fathers, being agreeable to the Propriety of the Place, and the Analogy of the Faith. 5. The Division of the Chapters to be altered, either not at all, or as little as may be, if Necessity so require. 6. No Marginal Notes at all to be affixed, but only for the explanation of the Hebrew or Greek Words, which cannot without some circumlocution, so briefly and fitly be expressed in the Text. 7. Such Quotations of Places to be marginally set down as shall serve for the fit Reference of one Scripture to another. 8. Every particular Man of each Company, to take the same Chapter or Chapters, and having translated or amended them severally by himself, where he thinketh good, all to meet together, confer what they have done, and agree for their Parts what shall stand. 9. As any one Company hath dispatched any one Book in this Manner they shall send it to the rest, to be considered of seriously and judiciously, for His Majesty is very careful in this Point. 10. If any Company, upon the Review of the Book so sent, doubt or differ upon any Place, to send them Word thereof; note the Place, and withal send the Reasons, to which if they consent not, the Difference to be compounded at the general Meeting, which is to be of the chief Persons of each Company, at the end of the Work. 11. When any Place of special Obscurity is doubted of, Letters to be directed by Authority, to send to any Learned Man in the Land, for his Judgement of such a Place. 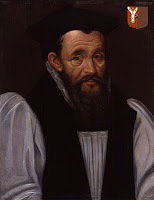 12. Letters to be sent from every Bishop to the rest of his Clergy, admonishing them of this Translation in hand; and to move and charge as many skilful in the Tongues; and having taken pains in that kind, to send his particular Observations to the Company, either at Westminster, Cambridge, or Oxford. 13. The Directors in each Company, to be the Deans of Westminster, and Chester for that Place; and the King's Professors in the Hebrew or Greek in either University. 14. These translations to be used when they agree better with the Text than the Bishops Bible: Tyndale's, Matthew's, Coverdale's, Whitchurch's, Geneva. 15. Besides the said Directors before mentioned, three or four of the most Ancient and Grave Divines, in either of the Universities, not employed in Translating, to be assigned by the vice-Chancellor, upon Conference with the rest of the Heads, to be Overseers of the Translations as well Hebrew as Greek, for the better observation of the 4th Rule above specified. The obvious problem this creates for reading the biblical writings today is that low-context readers in the United States frequently mistake the biblical writings for low-context documents. They erroneously assume the author has provided all of the contextual information needed to understand it. 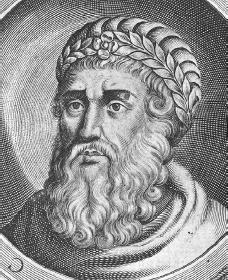 For about 100 years there has been a consensus among scholars that Herod the Great reigned from 37 to 4 BCE . However, there have been several challenges to this consensus over the past four decades, the most notable being the objection raised by W.E. Filmer. This paper argues that Herod most likely reigned from late 39 BCE to early 1 BCE , and that this reconstruction of his reign can account for all of the surviving historical references to the events of Herod’s reign more logically than the current consensus can. Moreover, the reconstruction of Herod’s reign proposed in this paper accounts for all of the datable evidence relating to Herod’s reign, whereas the current consensus is unable to explain some of the evidence that it dismisses as ancient errors or that it simply ignores. He addresses the evidence for the current consensus and why this fails due to several other chronological considerations. He claims that Josephus erred with his Olympiad dates for the beginning of Herod's kingship. He shows that one must assume some chronological errors in Josephus because of internal inconsistencies; and, in assuming the 2 Olympiad dates are incorrect by one year, several other problems are resolved. This is the summary table of Herod's life according to Steinmann's reconstruction. Over-civilisation and barbarism are within an inch of each other. I don't do New Year's resolutions. The closest for me last year was a target of reading a book per week over the year; which I decided on some time earlier in the year. For tracking purposes it was easier to target 4 books per month; this also allows for varying book lengths and an intermittent reading schedule. I managed to get through the 4 books per month and exceeded this reaching my original target of a book per week. Some of the books were brief but the average was more than 200 pages; the longest being in excess of 800 pages. I have not read this number of books in a single year for over a decade. I would like to maintain this number of books per year but I am uncertain if I will set a similar target. Perhaps. I do a significant amount of reading online, probably exceeding my book reading. And my journal reading (several articles per week, and dozens of abstracts) could be at a similar level. And there is so much more that I would like to read than I have time for: of the making of many books there is no end. Howard Ahmanson has an interesting article on communitarianism, and why he is not one. What I found interesting were his comments concerning the domains of authority. He mentions the traditional ones of family, church, and state; yet considers there are 2 more. The whole category of property ownership, business, the right to make rules regarding the conduct of others on our property, and the right to determine the conditions under which we do business. ... the rules of business and property ownership do guide our lives; many of the ‘regulations’ under which we live come not from the government but from what banks will and will not lend on, and what insurance companies will and will not insure. Customs, cultures, and manners, including languages and their rules. I haven't fully thought this thru. The last 2 may not seem obvious in that they are non-hierarchical, there is no one who necessarily makes these rules, and they can change over time. These categories are also divided into rational and arational. Family is considered by Ahmanson as a small-scale version of all 4: The world in miniature. I suspect this categorisation comes from an anthropological rather than a theological perspective. A theological categorisation comes from a chronological approach. In creation God assigns family as the authority. Post-fall (or possibly post-diluvian) sees the necessity of the state. Redemption brings about the creation of the church. The church was always the intention even at creation, so will be eternal. The state is a temporary institution made necessary by our fallen nature. The family, while primary at the time of creation and currently still more foundational than the state, may be temporary as evidenced by Jesus' words that there is no marriage in heaven.